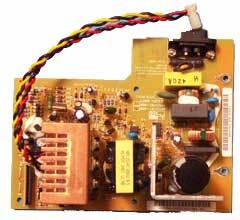 We have power supplies almost ALL TiVo models - please check the entire page! 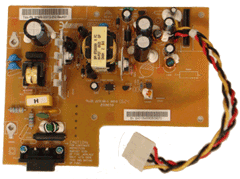 TiVo Power supplies are refundable, subject to our standard return policies. 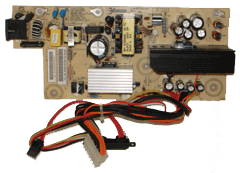 Power supplies on this page have a 90-day warranty. Installation instructions are at the bottom of th page. 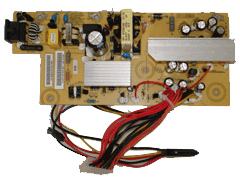 Most power supplies requires Torx tools for installation. Requires Torx T8 and T10 for installation. 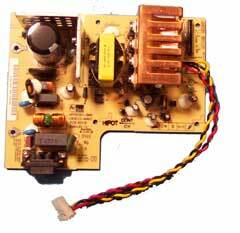 Replacement power supply. See below for professional installation options. 1) Pull the plug on your TiVo and wait 5 minutes or so for it to discharge. Remove the four or five screws on the back of your TiVo, which hold the lid in place. Slide the lid back and up/off the TiVo. 2) Remove the flat cable that connects the power supply to the motherboard. 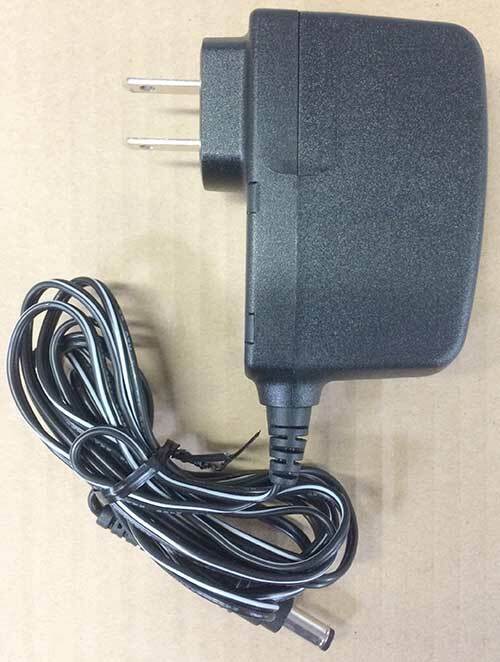 This pulls straight out from both the connector to the power supply and the connector to the motherboard. Then remove the power cable from the hard drive(s) in your TiVo. 3 ) Using a T10 screwdriver, remove the screws that are holding the power supply to the case. There should be between 2-4 screws, depending on your power supply. 4 ) Using needle-nosed pliers, twist the metal prongs through the slats in the power supply. Twist them until they are straight and parallel with the slats. 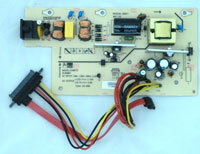 NOTE: Some power supplies use plastic connectors to hold the power supply in place. 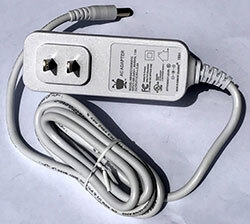 These connectors are easy to remove as well--simply squeeze them with your pliers and pull the power supply up. 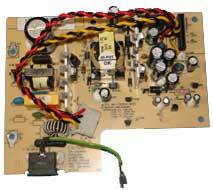 5 ) Simply pull the power supply up and out of the TiVo. Note: In some units (those with metal prongs rather than white posts), you will have to slide the power supply toward the front of the unit before lifting it up and out of the TiVo. 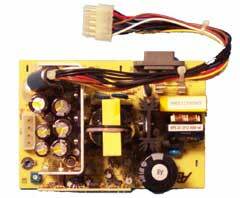 6) Reverse these steps to install the new power supply. 1) Pull the plug on your TiVo and wait 5 minutes or so for it to discharge. Remove the four or five screws on the back of your TiVo, which hold the lid in place. Remove the one screw that holds the power supply (located immediately above where the power cord attaches to the TiVo), using a T8 screwdriver. Slide the lid back and up/off the TiVo. 2) Remove the cable that connects the power supply to the motherboard. This clips on, so push the clip and then pull straight out from the motherboard. 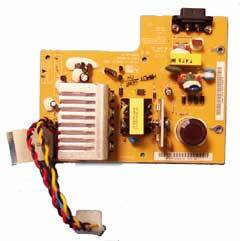 Then remove the cable from the hard drive in your TiVo and also from the motherboard. 3 ) Using a T10 screwdriver, remove the screws that are holding the power supply to the case. There should be between 4-8 screws, depending on your power supply. 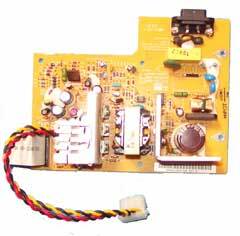 4 ) Simply push the power supply back a bit and then pull it out of the TiVo. 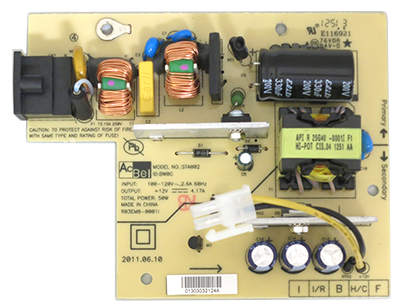 5) Reverse these steps to install the new power supply.